When’s the last time you struggled with how to respond to something someone said to you? Did you spend hours, days or maybe even weeks thinking of all the things you “could have” or “should have” said after the fact? How often have you wished for the superpower of being able to say the perfect thing at the perfect time? I know I’ve had many sleepless nights replaying a conversation over and over in my head wishing I’d said something differently. What’s interesting is how often most of us feel pressured to have the perfect response even when we’re caught off guard. What are the things that tend to catch you most off guard? For me, it’s unsolicited feedback with criticism mixed in. I’ve found over the years that even though I love feedback, I have to be in the right mindset to receive it. When I’m not in the right mindset I struggle with how to respond to the person giving their opinion. Luckily, I learned years ago a simple response that has saved me more than once. During the course of my NLP studies, I learned a response that I’ve been able to use over and over when I feel stumped with what to say. This response can be used in a variety of situations. I’ve personally used it when receiving criticism, accolades and recently I used it after my twelve-year-old niece revealed her “personal truth” to me. Before I share the response, it’s important to note there are a few things you want to consider when you use this statement. How important is the relationship? Do you want to keep the rapport intact regardless of what the other person said to you? Your tone of voice will effect how the statement is received. If you sound irritated or aggressive, you’ll get a different response than if you sound curious and thoughtful. The purpose of this statement is to give you time to digest what’s been said and then decide if and how you want to respond to the other person. Depending on the situation, you may need to add a little more to the statement. Here are a few situations with some slight edits to the statement. Again, the purpose of having this response ready is so when you find yourself in a situation where you don’t know what to say, you say this. 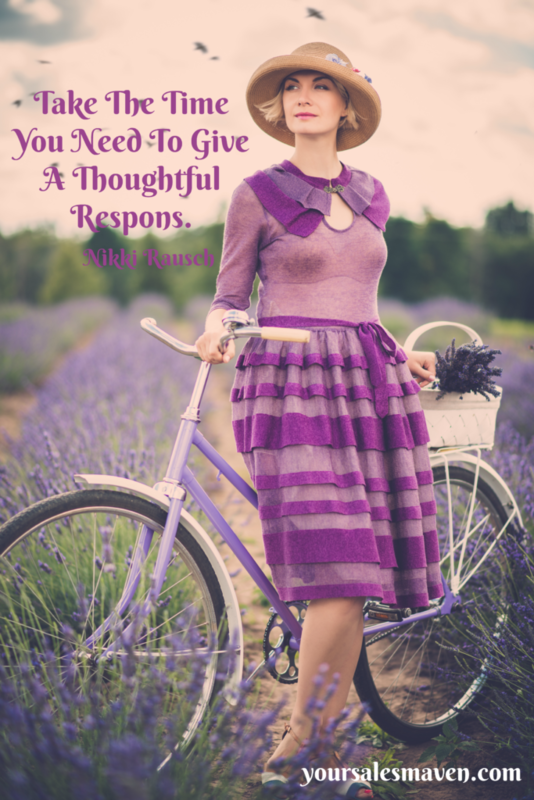 It buys you time to think about how and if you want to respond. It’s a placeholder instead of allowing yourself to feel pressured to have the perfect response.